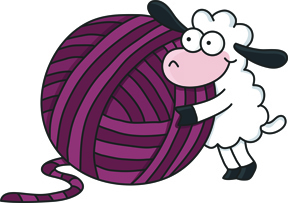 Our new Yarn Shop opens on April 2. Join us for a day full of demos, door prizes, food, and fun. We've added a trunk show to the grand opening. 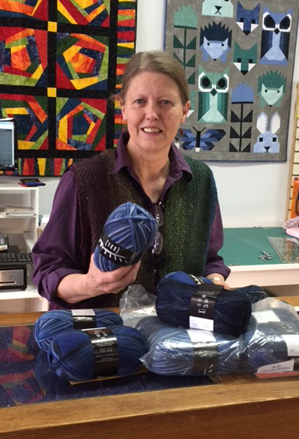 It will feature knitted pieces by Judy Bryan and our new Yarn Shop Coordinator Anne Worthington who is pictured here. Judy has been knitting since she was a little girl and does amazing work. Anne is a master of all things fiber. She spins, dyes, weaves, and knits. The trunk show will be at 1:00 p.m. Please pass the word to all of your yarn-loving friends!